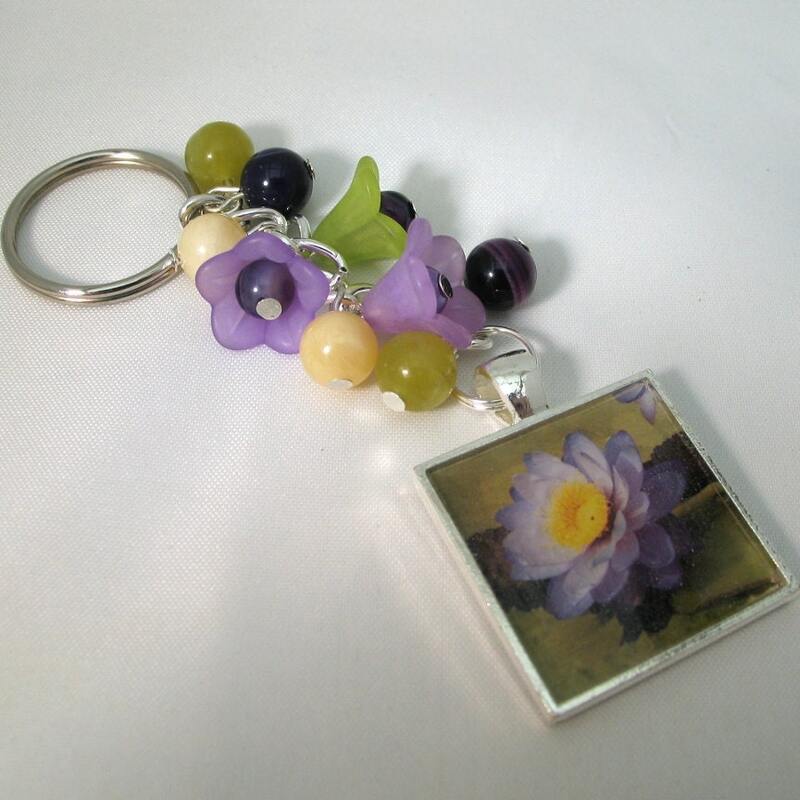 This pretty keychain or bag/purse charm features a hand made resin pendant. Purple and Yellow gemstones, jade and agate alongside lucite floral beads make up the chain. It has a large split rinf for keys but if you prefer a lobster clasp for attaching to you purse or bag do let me know and I can easily swap it over.